You have not requested that your data be withheld at either institution. You will be notified if you are eligible for reverse transfer and you can decide whether you wish to receive your associate’s degree. If you choose not to participate, you may opt out by simply not providing your consent for the transfer of transcript data from the four-year to the community college (a process managed by the Colorado Department of Higher Education and the Colorado Community College System). Should you have further questions, information will be included on the eligibility notification letter. For answers to commonly asked questions, please see this Frequently Asked Questions document. If you have additional questions, contact your academic advisor at the community college you attended, the Colorado Community College System or the Colorado Department of Higher Education. See our list of contacts. Q: How do I enroll in reverse transfer? A: You do not have to enroll. You will be contacted if you are eligible and then may opt out by not providing your consent for the transfer of data if you would not like to receive the degree. Q. What am I agreeing to when I consent to allow my data to be transferred from my four-year to the community college through the Department of Higher Education and the Colorado Community College System? A: By completing the form sent to you in your notification email, you are consenting to allow the Department of Higher Education to transfer the minimum necessary enrollment and course enrollment data to the Colorado Community College System. The CCCS uses a program created by Parchment that allows them to translate the data into a format that is usable by your community college. You are also consenting to have your transcript data audited to see which degree you qualify for and then to receive that degree. If you do not want to receive an associate’s degree through reverse transfer, you may simply refrain from completing the consent form. Q: What if I only have a few credit hours left to qualify for my associate’s degree through reverse transfer? A: When you are notified of your eligibility for reverse transfer or are informed about remaining courses, the notification will also include information about next steps to complete your associate’s degree and how to qualify for reverse transfer. A: No. This is a grant-funded initiative that is fully automated. The only possible cost is if you owe money to your four-year institution. Your transcript will not be released until the debt is paid. Q: What if I do not want my associate’s degree? A: All students who are reverse transfer eligible will receive an email notification regarding their associate’s degree. This notification will include contact information that you may use to opt out of reverse transfer. Q: If I don’t qualify for reverse transfer now, what happens? A: You will be sent a notification that will provide information on next steps. At that point, you may speak with a CCCS college advisor and/or you may wait until the next semester’s credit hours are reported to the department to see if you will have additional credit hours to count toward your reverse transfer degree requirements. 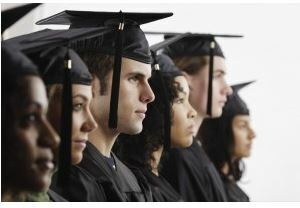 Q: What are the advantages of receiving my associate’s degree? A: An associate’s degree offers students currently pursuing their bachelor’s degree two unique opportunities. First, it allows students to round out their academic qualifications. For instance, if you are pursuing an accounting bachelor’s degree, you can bolster your credentials with your associate’s degree in business. Second, an associate’s degree allows students to be more competitively employed while working on their bachelor’s degree. Q: Do my Concurrent Enrollment/International Baccalaureate/Advanced Placement courses count toward the 70 total credit hours? Q: Do my 15 credit hours from my community college need to be the same credit hours accepted for transfer? Q: What will my degree be in? How will this be determined? A: Degrees conferred will be Associate of Science, Associate of Arts or Associate of General Studies, to be determined via degree audit at the degree-granting community college. You will be awarded the highest- level degree (AS, AA or AGS, in this order) for which you qualify. If the criteria for these degrees are not met, then you will be notified about which courses you must complete to receive your Associate’s degree. Q: How many credit hours do I need to complete at my four-year institution before I’m eligible for reverse transfer? A: A student must gain residency at four-year institution. For instance, at Metro, it is generally 30 credits but varies by degree and institution, and is guided by the institution’s accrediting organization. Please visit your four-year institution’s website or consult a transfer advisor at that institution to determine residency. The student must have 70 credits in total (two-year credits and four- year credits) in order to be considered for Reverse Transfer. Q: If I have attended two community colleges, do credits from both apply to reverse transfer? A: Possibly. You must have completed at least 15 credit hours at one community college. You may, however, apply the credits from the other community college toward reverse transfer requirements as long as you meet the residency requirement for your four-year institution. Q: If I have attended two community colleges and have completed 15 degree-applicable credit hours at each, which will be the granting institution? A: The community college that you have most recently attended will confer this degree. Q: If I have attended two or more community colleges and have completed more than 15 degree-applicable credit hours at each, which will be the granting institution? A: The community college where you completed the highest number of degree-applicable credit hours will confer this degree. Q: Can I receive a second associate’s degree through reverse transfer? Have another question? Let us know by filling out this information and we’ll add the question and answer to this page.